A research paper on WWII explores the impact World War II had on the international community, and examines the political, social, and historical consequences of the war upon the world and its inhabitants. World War II was one of the most important events in world history. Paper Masters has history research writers that have spent their entire careers studying WWII and writing on it. Have a paper written for you today on WWII and any aspect of the war. Below you will see many topics that relate to WWII so be sure to choose a specific one that will give you the most information for your own research to expand upon. More than fifty years after the conclusion of World War II, this period remains a chief preoccupation of people throughout the world. First, an overarching assessment of the causes that led up to the devastating events of the war will be presented. Then, the second half of a paper on WWII will focus on delineating the way that the war effected people around the world, both in the short-term and the long-term. Finally, an evaluation of the lasting significance of World War II will be presented in conclusion. Analyzing the root causes of a major war is always a difficult proposition and should be part of your research paper. Working backwards from the outbreak of armed conflict to the historical atmosphere that directly preceded it often lends a sense of reductive linearity that is not actual reflected in the unfolding of events. Even as this discussion will attempt to delineate the primary influences that brought about the advent of military intervention, it is important to note that the war originated out of a specific historical and cultural moment that is inherently more complex than simply the aggregate sum of these events. Most analyses of the causes of World War II have focused upon the figure of Hitler and his presumed role as the chief instigator of the conflict. However, in recent years, historians and other scholars have begun to re-evaluate this longstanding appraisal, positing instead an environment rife with simultaneously occurring events that contributed to the general state of tension between nations. Although Hitler’s deeds were atrocious and his insidious leadership clearly influential within the context of World War II, he is now regarded as only one important causative factor among many other political elements that played a role in initiating armed conflict. Any analysis will consider the importance of Hitler and Nazi Germany, but with a continued emphasis on the broader political and social context of the era. Battle of Britain - An attempt by the German air force to establish air superiority over Britain was an attempt that had ultimately failed and thus prevented Germany from invading Britain. Battle of the Bulge WWII - For many historians, the Battle of the Bulge symbolizes the end of the Nazi power on the Western front. Battle of Stalingrad Facts - The Battle of Stalingrad was the turning point of the Eastern Front of World War II. Dreyfus Affair - Dreyfus Affair Research Paper looks at this French captains life of being accused of being a German spy. Holocaust - Holocaust Research Paper discusses the different people involved, and their fate. Japan and World War II - Japan’s brutal military expansion in East Asia and the Pacific pitted the strength of the United States against a less industrialized and smaller country far away from American shores. Lord Halifax - Churchill’s primary opponent in the War Cabinet was Lord Halifax. Nurses in World War II - In World War II, women took on a number of professions: at home, they worked in factories, they served in the military, and they even took over as athletes in America’s national pastime. Paris Peace Conference - This term paper will outline the roles played by each of the Big Four; Woodrow Wilson, David Lloyd George, M Clemenceau, and Signor Orlando. Post World War I Europe - Post-World War I Europe was a time of irrationality throughout Europe. Who Won World War II - Who won World War II? The Americans, in the West, and the Russians, in the East, it is generally said. 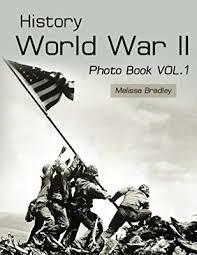 World War II - World War II began September 1, 1939 when Hitler’s Armies invaded Poland. Paper Masters writes custom research papers on World War II, which was a definitive time in world history.